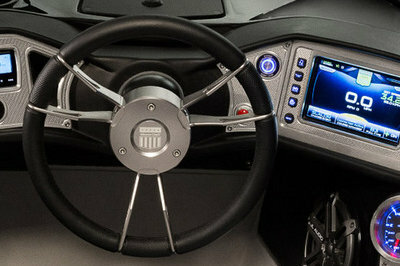 The new ProStar owns a unique space on the water: where engineering and science meet passion and dedication. 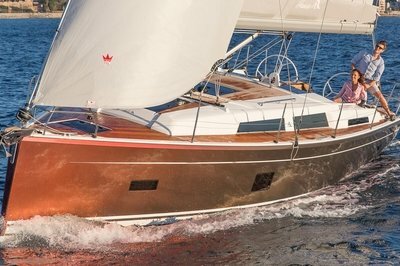 It’s the purest, most distilled and highest performing tournament ski boat ever created. The proof is in the world, national and course records that keep getting destroyed behind it. Hop in and set a new best of your own. 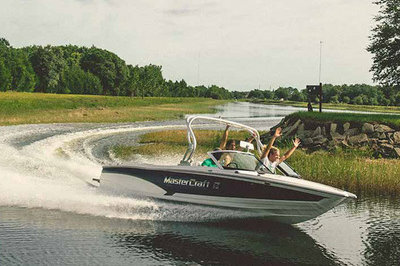 Continue reading for more information on the MasterCraft Prostar. The helm features a low profile dash designed for unparalleled sightlines, and a super bright touchscreen with easy to use controls. Skier entry and exit at the rear is easy thanks to step pads and a walkthrough transom. The rear seats are also removable. The ProStar twin-tip bow offers two ways to play: the classic covered bow design, or open it up with forward lounge seating. Open up the bow with forward lounge seating. Integrated rear storage keeps the essentials at the ready. Performance pedigree Ilmor engines deliver explosive power and are hands-down the most reliable in the recreational marine industry. The innovative adjustable driver’s seat will keep you comfortable all day at the helm. The fold-down judges chair and hinged windshield makes it easy for passengers to step into the bow. The convertible judges chair folds down allowing for instant access to the bow.